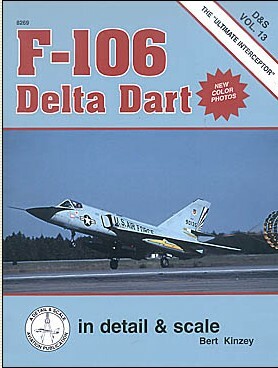 Description: F-106 Delta Dart Detail and Scale (SC). Kinzey. Design and development of the USAF's "Ultimate Interceptor". Includes both color and B&W photos - overall and in detail. 8 pgs of new color photos. 1/72 scale dwgs. Modeler's section. 72 pgs.